Just yesterday we featured a build of where both Bilbo and Frodo started their adventures, the Shire. Well, both of them ended up here at the home of Elrond eventually. Welcome to Rivendell, by builder soccersnyderi. 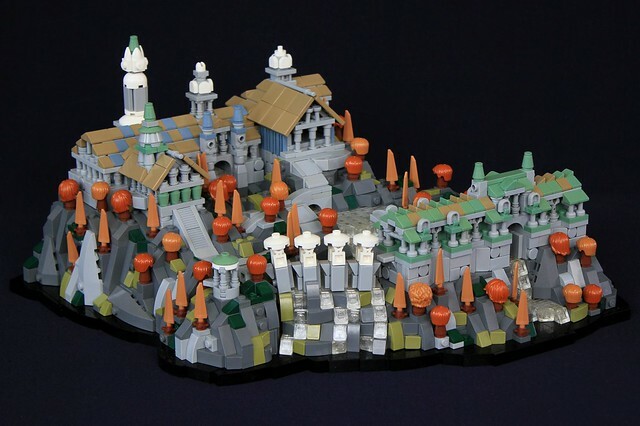 This microscale build is one of the finest and most detailed I've ever seen, with loads of clever techniques and wonderful color. You can practically hear the elves' ethereal singing.